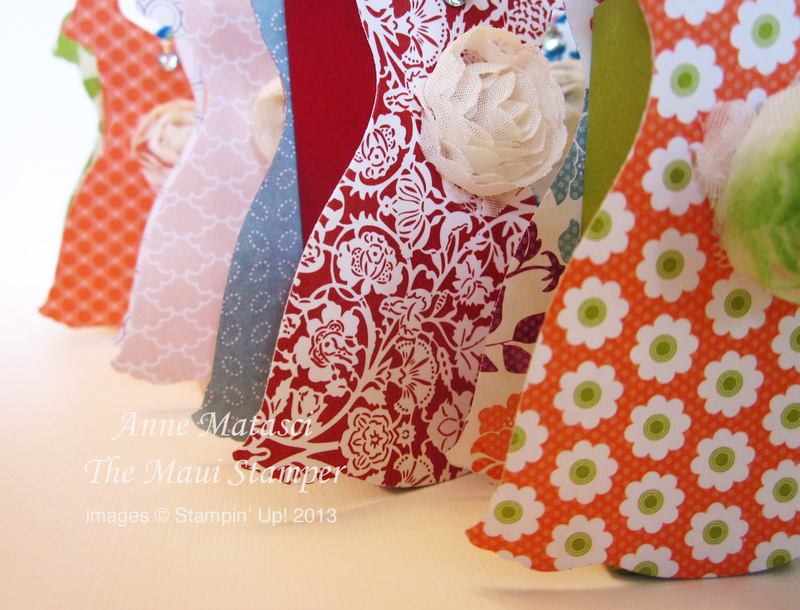 These are super-simple – two dresses adhered to either side of a basic little box just the right size for a Chapstick. Add a Rhinestone Jewel and a Floral Trim rosette (sob! they’re retired…) and that’s it! 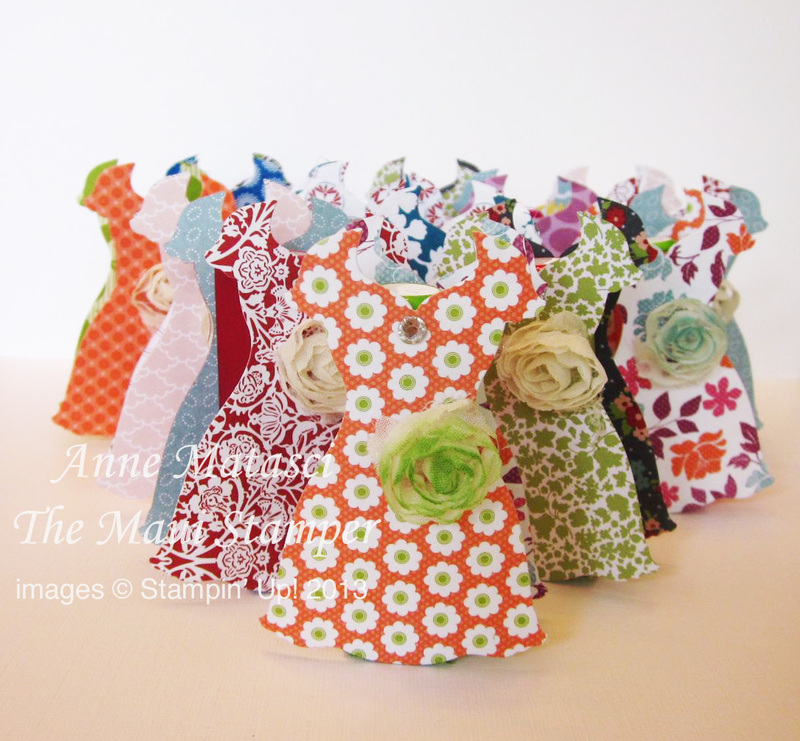 I really enjoyed choosing the DSP for these – just like fabric shopping! The box is just a little shorter than the dress from hem to neckline – I think I made it 2 1/2″ tall – and it’s 3/4″ on each side. They took no time at all with my Simply Scored. 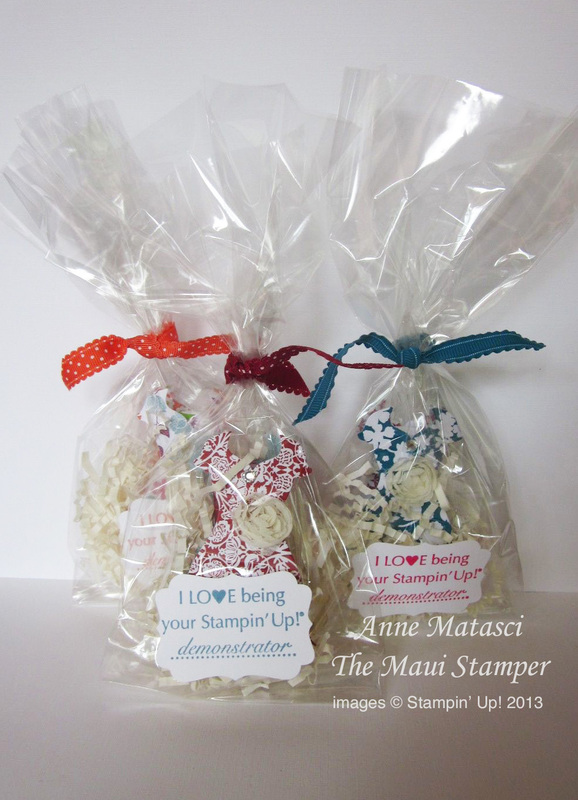 I put them in clear bags with a few shreddies in the bottom and tied them with a snippet of ribbon. Don’t ask me about that stamp set – it was a VERY special giveaway at convention a couple of years ago. 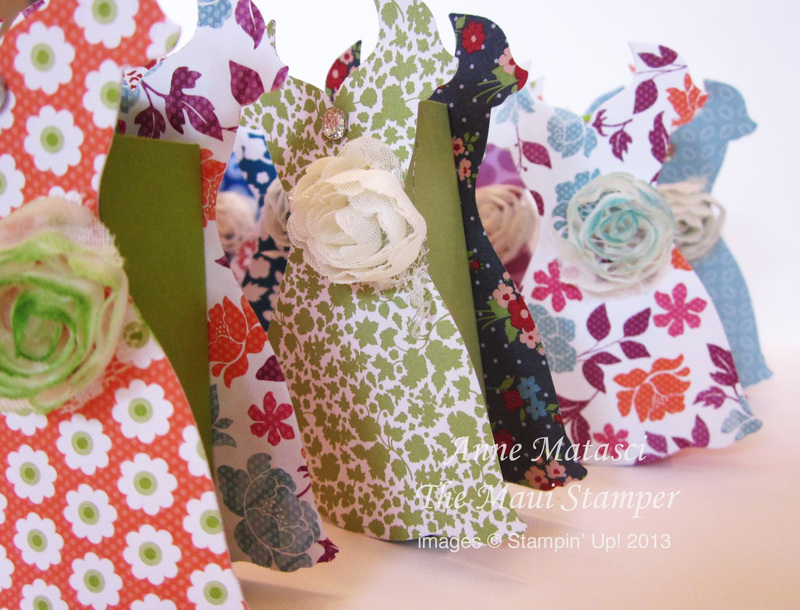 Can’t wait to see what Stampin’ Up! has in store for us this year! Lucky club members!!! Those are adorable!! These are so nice! 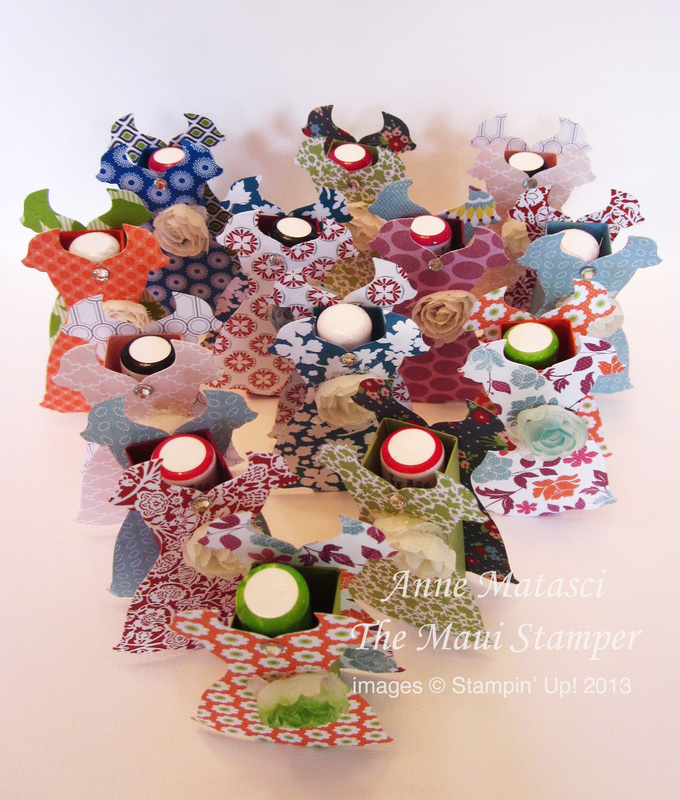 I am anxiously awaiting my Stampin Up order with the dress framelits and the ideas are never ending….so exciting!